When you visit our practice for the first time, we will ask you to complete a medical health questionnaire. This is very important as it allows us to assess all of the factors which may affect your oral health. Whilst seeing the dentist, he will take x-rays and make a chart of your existing dentition. If any treatment is required your dentist will discuss all the options with you and provide you with treatment plan estimates so you can make an informed decision as to which one to accept. It is our practice policy to suggest that each new patient sees either one of our hygienists or our oral health educator as appropriate. As a returning patient, your appointments for oral health checks and hygienist visits will be very similar. We will usually update your dental x-rays on a regular basis, depending on your susceptibility to dental disease. If no treatment is required, you will be advised when you should return for your next check. If treatment is required, you will need to read through the estimate printed and inform us once you have made a decision. 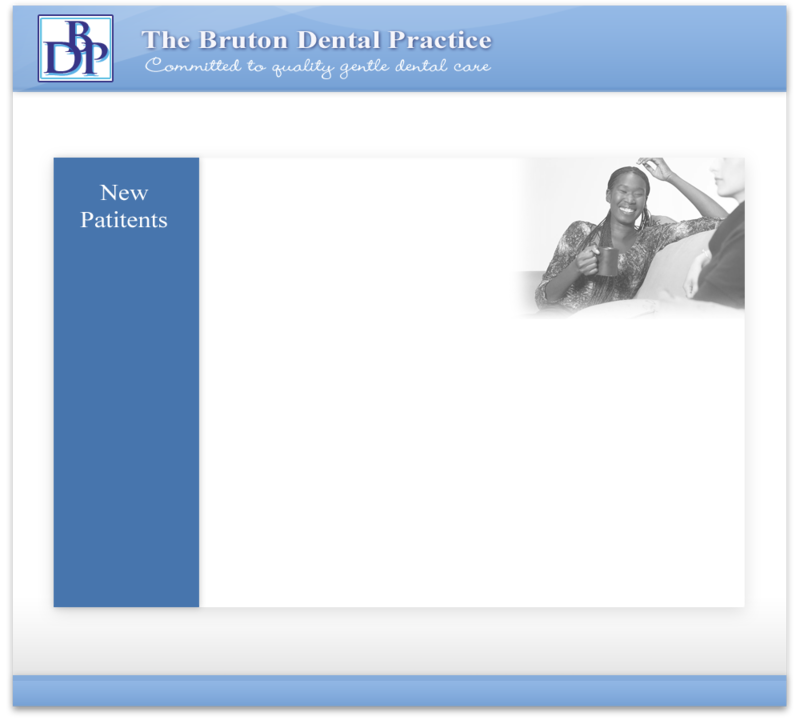 Whilst you are in our practice, you can be assured that during your appointment you will be the centre of our attention. We will do everything possible to make you comfortable and relaxed. We will address any concerns that you may have and you will always be treated with courtesy and consideration. In return, we ask that you keep to your appointments and give us at least 24 hours notice if you wish to cancel. We understand that there may be times when due to unforeseen circumstances this will not be possible. We ask that you pay for your treatment promptly and treat our staff with respect. If, at any point you are unhappy about any of the treatment you have received from our practice, we ask that you inform us immediately by speaking to the practice manager. If you are unable to do this, there is a ‘comments and suggestions’ box in the reception area. Alternatively you may write a letter. We value your feedback and comments and would appreciate any suggestions that you may have. We promise to deal with any issues that arise promptly and discreetly.